Say Thank You! 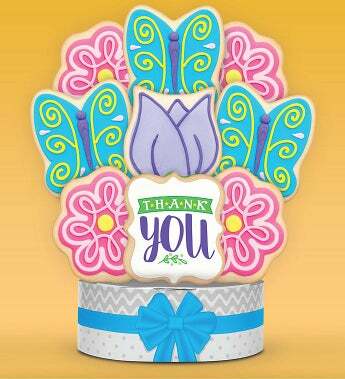 in a big way with this beautiful & delicious butterfly garden cookie arrangement. These unique buttery shortbread cookies are hand decorated with candy-like royal icing, and individually wrapped with care. This impressive gift will really show your appreciation.